The Charismatic Movement is the international trend of historically mainstream Christian congregations adopting beliefs and practices similar to Pentecostalism. Fundamental to the movement is the use of spiritual gifts (charismata). Among Protestants, the movement began around 1960. Among Roman Catholics, it originated around 1967. Pentecostalism began in the early twentieth century. Its doctrinal distinctive involved a dramatic encounter with God termed baptism with the Holy Spirit. The evidence for having received this experience was speaking in tongues. American Lutheran minister Harald Bredesen coined the term “charismatic” in 1962 to describe what was happening in mainline Protestant denominations. Confronted with the term “neo-Pentecostal”, he preferred to call it “the charismatic renewal in the historic churches”. The high church wing of the American Episcopal Church became the first traditional ecclesiastical organization to feel the impact of the new movement internally. The beginning of the charismatic movement is usually dated to Sunday, April 3, 1960, when Dennis J. Bennett, rector of St Mark’s Episcopal Church in Van Nuys, California recounted his Pentecostal experience to his parish, doing it again on the next two Sundays, including Easter (April 17), during which many of his congregation share his experience, causing him to be forced to resign. The resulting controversy and press coverage spread an awareness of the emerging charismatic movement. The movement grew to embrace other mainline churches, where clergy began receiving and publicly announcing their Pentecostal experiences. These clergy began holding meetings for seekers and healing services which included praying over and anointing of the sick. The Catholic Charismatic Renewal began in 1967 at Duquesne University in Pittsburgh, Pennsylvania. 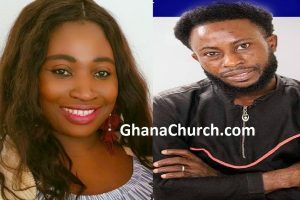 Despite the fact that Pentecostals currently tend to share more in common with evangelicals than with either Roman Catholics or mainline Protestants, the charismatic movement was not initially influential among evangelical churches. C. Peter Wagner traces the spread of the charismatic movement within evangelicalism to around 1985. He termed this movement the Third Wave of the Holy Spirit. The Third Wave has expressed itself through the formation of churches and denomination-like organizations. These groups are referred to as “neo-charismatic”. The Vineyard Movement and the British New Church Movement exemplify Third Wave or neo-charismatic organizations. While Pentecostals and charismatics share these beliefs, there are differences. Many in the charismatic movement deliberately distanced themselves from Pentecostalism for cultural and theological reasons. Foremost among theological reasons is the tendency of many Pentecostals to insist that speaking in tongues is always the initial physical sign of receiving Spirit baptism. 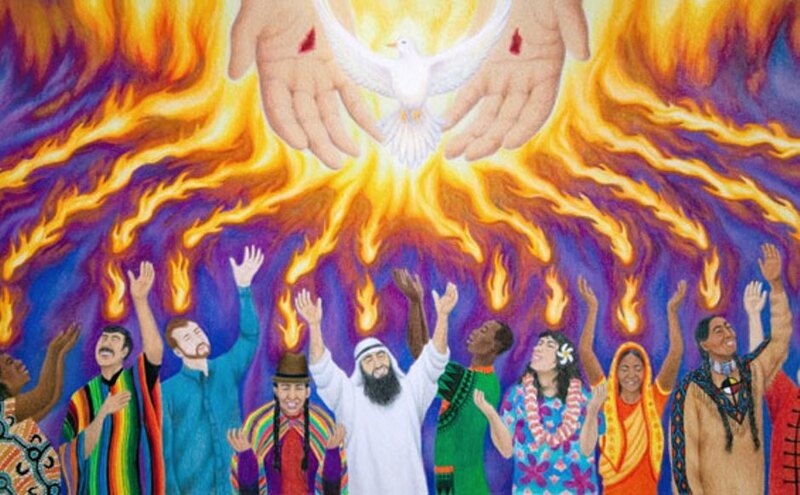 Although specific teachings will vary from group to group, charismatics generally believe that the baptism with the Holy Spirit occurs at the new birth and prefer to call subsequent encounters with the Holy Spirit by other names, such as “being filled”. In contrast to Pentecostals, charismatics tend to accept a range of supernatural experiences (such as prophecy, miracles, healing, or “physical manifestations of an altered state of consciousness”) as evidence of having been baptized or filled with the Holy Spirit. In America, the Episcopalian Dennis Bennett is sometimes cited as one of the charismatic movement’s seminal influence. Bennett was the Rector at St Mark’s Episcopal Church in Van Nuys, California when he announced to the congregation in 1960 that he had received the outpouring of the Holy Spirit. Soon after this he ministered in Seattle, where he ran many workshops and seminars about the work of the Holy Spirit. Larry Christenson, a Lutheran theologian based in San Pedro, California, did much in the 1960s and 1970s to interpret the charismatic movement for Lutherans. A very large annual conference was held in Minneapolis during those years. Charismatic Lutheran congregations in Minnesota became especially large and influential; especially “Hosanna!” in Lakeville, and North Heights in St. Paul. The next generation of Lutheran charismatics cluster around the Alliance of Renewal Churches. There is currently considerable charismatic activity among young Lutheran leaders in California centered on an annual gathering at Robinwood Church in Huntington Beach. Richard A. Jensen’s Touched by the Spirit published in 1974, played a major role of the Lutheran understanding to the charismatic movement. When the Methodist movement was initiated, “many individuals in London, Oxford and Bristol reported supernatural healings, visions, dreams, spiritual impressions, power in evangelizing, and extraordinary bestowments of wisdom”. John Wesley, the founder of Methodism, “firmly maintained that the Spiritual gifts are a natural consequence of genuine holiness and dwelling of God’s Spirit in a man.” As such, Methodist Churches hold to the theological position of continuationism. With its history of promoting holiness and experiential faith, Methodist Churches permit charismatic worship. Charismatics in the United States allied with the Good News caucus and those in Great Britain have been supported by the Lay Witness Movement, which works with Methodist Evangelicals Together. In the United Methodist Church, the charismatic apostolate Aldersgate Renewal Ministries was formed to “to pray and work together for the renewal of the church by the power of the Holy Spirit”. It runs events at local United Methodist churches, as well as the Methodist School for Supernatural Ministry. to those responsible for the ecclesiastical ministry—from parish priests to bishops—not to let the Renewal pass them by but to welcome it fully; and on the other (hand) … to the members of the Renewal to cherish and maintain their link with the whole Church and with the Charisms of their pastors. A further difficulty is the tendency for many charismatic Catholics to take on what others in their church might consider sacramental language and assertions of the necessity of “Baptism in the Holy Spirit,” as a universal act. This causes difficulty as there is little to distinguish the “Baptism” from the sacrament of confirmation. In this regard, a Study seminar organized jointly in São Paulo by the Pontifical Council for Promoting Christian Unity and the Bishops Conference of Brazil raised these issues. Technically, among Catholics, the “Baptism of the Holy Spirit” is neither the highest nor fullest manifestation of the Holy Spirit. Thus “Baptism of the Spirit” is one experience among many within Christianity (as are the extraordinary manifestations of the Spirit in the lives of the saints, notably St. Francis of Assisi and St. Teresa of Avila, who levitated), and thus less dogmatically held by Catholic charismatics (than by Pentecostals). Possibly, Padre Pio (now St. Pio) provides a modern-day Catholic example of this experience. Describing his confirmation, when he as 12 year old, Padre Pio said that he “wept with consolation” whenever he thought of that day because “I remember what the Most Holy Spirit caused me to feel that day, a day unique and unforgettable in all my life! What sweet raptures the Comforter made me feel that day! At the thought of that day, I feel aflame from head to toe with a brilliant flame that burns, consumes, but gives no pain.” In this experience, Padre Pio said he was made to feel God’s “fullness and perfection.” Thus a case can be made that he was “baptized by the Spirit” on his confirmation day in 1899. It was one spiritual experience among many that he would have. The charismatic movement has not exerted the same influence on the Orthodox Church that it has on other mainstream Christian denominations. Individual priests, such as Fr. James Tavralides, Fr. Constantine Monios and Fr. David Buss, Fr. Athanasius Emmert of the Antiochian Orthodox Christian Archdiocese, Fr. Eusebius A. Stephanou of the Greek Orthodox Archdiocese of North America, founder of the Brotherhood of St. Symeon the New Theologian and editor of “The Logos”, and Fr. Boris Zabrodsky of the Ukrainian Orthodox Church in America, founder of the Service Committee for Orthodox Spiritual Renewal (SCOSR) which published the Theosis Newsletter, were some of the more prominent leaders of the Charismatic Renewal within Orthodoxy. A minority of Seventh-day Adventists today are charismatic. They are strongly associated with those holding more “progressive” Adventist beliefs. In the early decades of the church charismatic or ecstatic phenomena were commonplace.